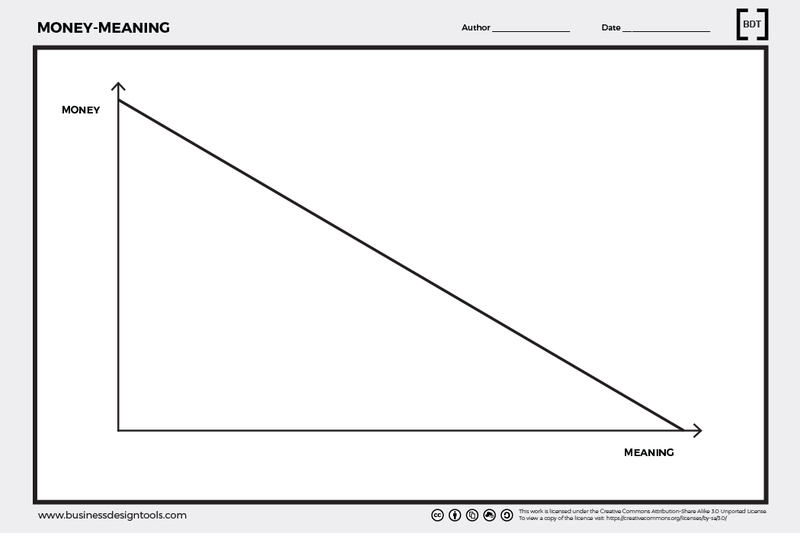 The Money Meaning canvas helps entrepreneurs understand what value means to them. As for how the graph is designed, it won’t be possible to choose ‘max money and max meaning’, and entrepreneurs will be forced in choosing among the two. This exercise can be also done in the shape of an interactive session where entrepreneurs will have to move physically among immaginary lines and, and will be asked to describe how they feel every time they move in different positions in the line (e.g. loads of money no meaning, loads of meaning no money). This will help them understand themselves. Template to explore money vs meaning motivations developed by Giulia Piu and based on a workshop by Sian Prime.